Me: Oh NO !!! we don't pee in the water. Bee: NO I don't (shake her head rapidly). I peed in my pants (pointing down) ! 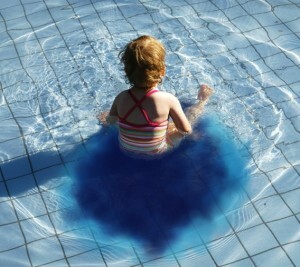 I was just glad there's no urine indicator dye in the pool !